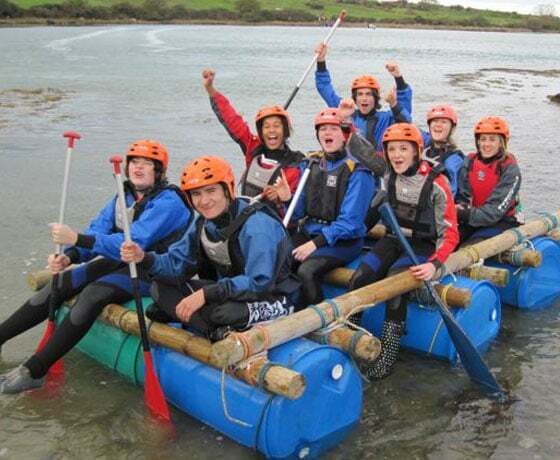 Adventure Tours Northern Ireland is pleased to offer unique corporate team building packages, specially put together for corporate and management groups and run by professional instructors. The conferencing facilities and all outdoor activities are held within the exclusive Baronscourt Estate, owned by the Duke of Abercorn. The impressive and scenic surroundings, home to wild pheasants and Japanese Sika deer, provide the perfect backdrop for the occasion. Baronscourt has been home to the Duke of Abercorn’s family since 1612, and combines great historical and architectural interest with a landscape of outstanding natural beauty. The Estate has been formally recognised for its forestry enterprise and won a prestigious award for wild game conservation. 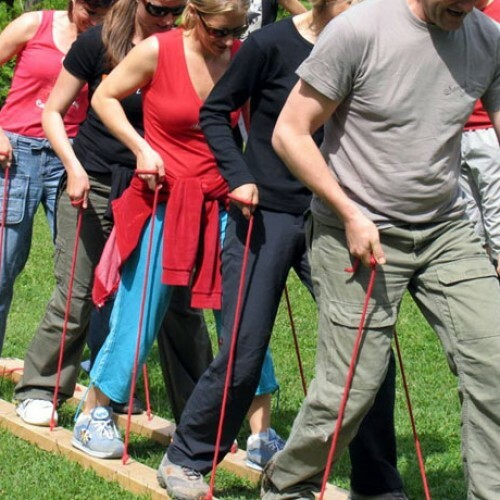 All in all, the carefully tended woods frame wonderful vistas that together with the lakes create a truly enchanted location which is ideal for corporate team building events. The conference centre is located in the Stable Yard within the Baronscourt Estate. It is a light, airy room with an attractive natural wooden floor,high ceilings, overhead scots pine beam and dramatic fireplaces at both ends. The restaurant/kitchen is adjacent to the conference room and staffed catering can be arranged. Professional instructors will put together a package specially tailored for your group’s requirements. Please enquire for further details and prices. The purpose of these games is to provide an introductory medium in which the group will be able to familiarise themselves with their colleagues. The objective will be to break down barriers, encouraging the group to interact more effectively in later team building sessions. These games assess the groups co-ordination skills and ability to work together in a team. 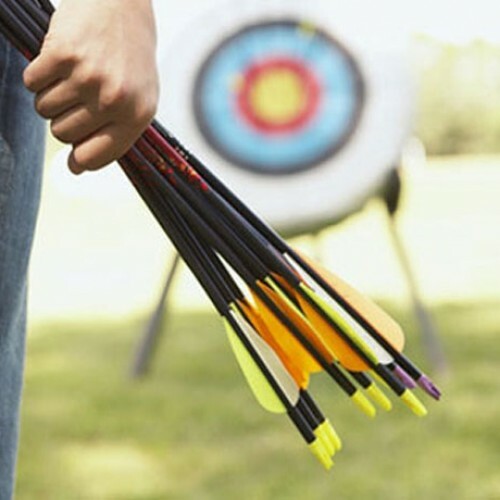 Objectives are to develop communicative dexterity and encourage the group to work in unison to accomplish a set target. 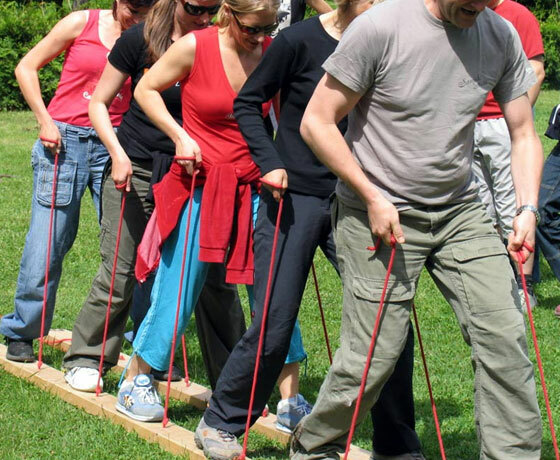 These challenging games are designed to test the groups lateral thinking capabilities. The objective is to encourage individuals to analyse a situation as a team and apply a combination of creativity and common sense in response. A series of mental challenges testing the groups ability to tackle problems methodically. Objectives are to encourage group interaction and stimulate creativity, developing core skills for the work environment. 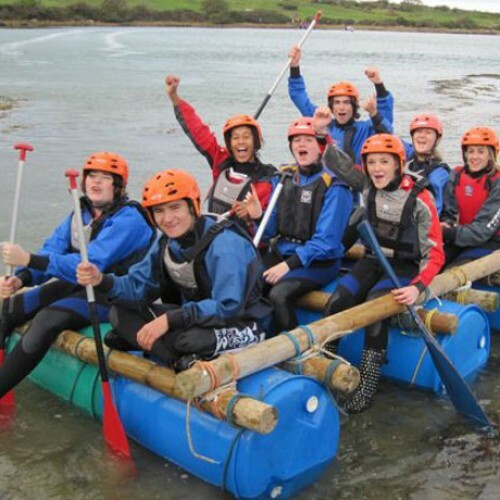 This is an active challenge which puts the groups mental and physical abilities to the test. 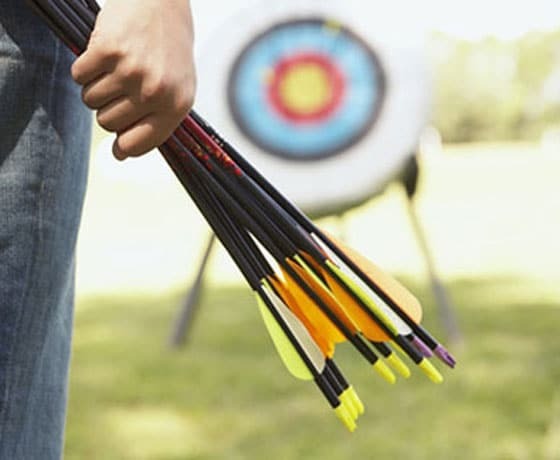 The objective is to encourage individuals to assess their strengths and weaknesses in a practical manner and co-ordinate their skills under pressure to achieve one set goal. An evaluation of experience and discussion about team spirit, contribution and task success. Instructors will prepare a detailed presentation and feedback on all aspects of the event, methodically analysing each task and encouraging group contribution and interaction in response to their conclusions. The outcomes is to offer constructive feedback on a professional level and with individuals’ contribution, provide breakdown of team capability to enable the group to positively implement, develop and adapt their skills in a working environment.